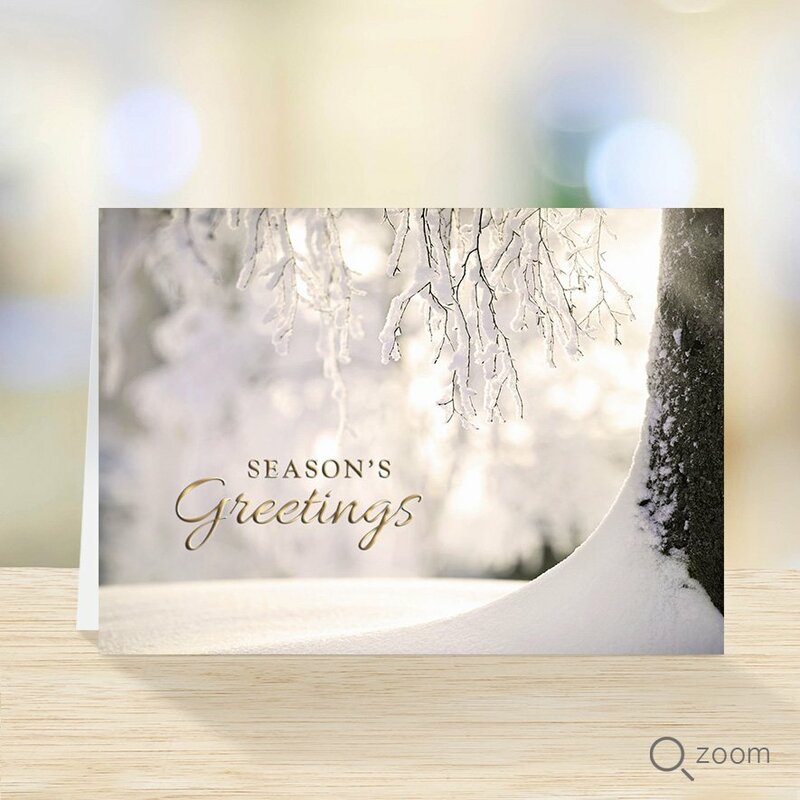 CLASSIC - Send your warmest greetings with this simple and elegant holiday card featuring a wintry scene and embossed, gold foil text. Horizontal card, size 7”x 5” with a top fold. Printed on 12 point Tango recycled cover stock with a gloss aqueous coating by an FSC certified printer. Price per card includes size A7 gold foil-lined white envelopes, also manufactured on recycled stock. Inside verse is pre-printed in black as indicated and cannot be changed. Made in the USA.